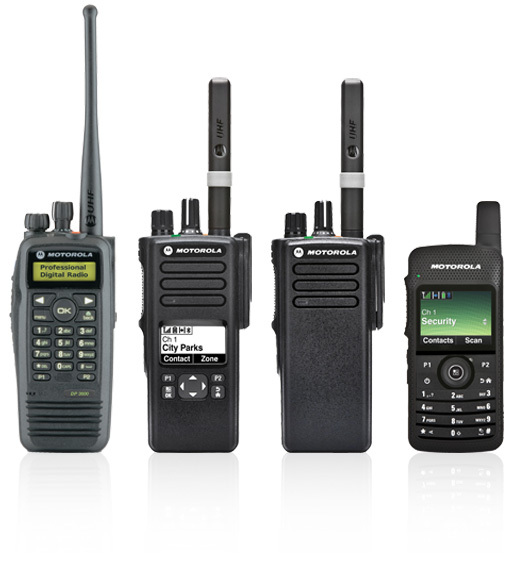 Hire MOTOTRBO Motorola Solutions SL4000, DP3000 and DP4000 Series Two Way Radios, Mobiles and Repeaters along with a full range of genuine audio accessories on a long and short-term basis. We have been hiring out digital two-way radios, and this has proven to be invaluable for a multitude of market sectors: Event Organisers, Retailers, Construction Sites, Council Teams, TV and Film Crews, Security and Plant Shutdowns to name but a few with short and long-term hire contracts using MOTOTRBO Radios. All of the MOTOTRBO™ range can be installed and utilised on fixed sites and into vehicles/cranes with the appropriate mounting. MOTOTRBO offers a Radio Allocation System which can monitor all radio & accessory movements throughout your hire. With the additional benefit of being able to record all two-way radio and system activity. This can be extremely beneficial should you need to look back / pinpoint a certain time in an event for radio traffic, proving to be invaluable in insurance claims.